This might the home that you are looking for. Replete with all modern amenities and facilities, our Rethymno Vacation Rentals is one of the finest country houses with private swimming pool, hot tub, fireplace and outdoor shower. Exclusively designed for large groups, here you will find 1 King Bed, 1 queen bed, 3 double beds, 1 twin bed and 1 sofa bed. In addition to that, there are cribs in the villa for small kids. This marvelous villa can accommodate as many as 10 guests quite comfortably. This is a two storey building giving you a solid platform to enjoy the vacation fully fledged with your family. In short, the villa has everything that you look for in a vacation home. For entertainment, there are high speed internet, high definition TVs with cable connection, VCR, DVDs, CDs, game room, pool table, ping pong table and many more. When you have your entire family, do not miss out the pleasure of having dinner together. Use the highly sophisticated brand new kitchen appliances and come up with a wide variety of dishes. The kitchen is the one that you will just fall in love. It bears equipment such as ice maker, oven, refrigerator (full), refrigerator (mini) microwave, blender, charcoal grill, dishwasher, gas grill, stove, toaster and coffee maker. The villa has also a cook. Is there any kitchen appliance left? There are 5 bedrooms and 4 bathrooms available to ensure for comfort and luxury. 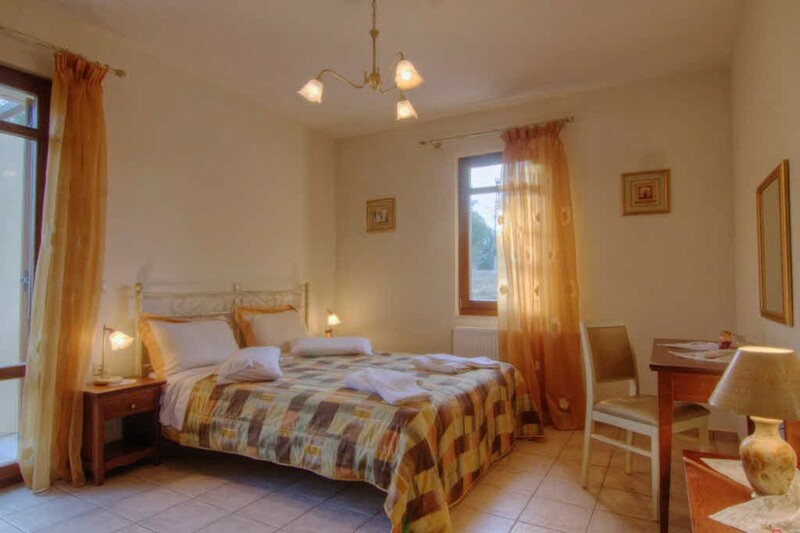 Staying in this Crete Vacation Rentals, you can enjoy the spectacular views of the ocean, panoramic mountain, city lights, lake view and water view. The building has parking areas, seating areas, patio, screened porch, lanai and garage. Do something different and go for a refreshing bike riding. Spend a day at the nearest park or kayak in the lake, return home for an outdoor shower and then a delicious dinner. All areas are made up with hardwood floors. To provide you more comfort, we have added sauna for steam bath. Make the most of the grill barbeque. Daily maid service is also provided � you can even enjoy the service at free of cost. This is a smoke free and pet free home.